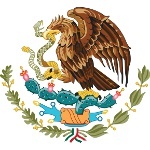 Mexican Army Day is observed in Mexico annually on February 19. This holiday cerebrates the foundation day of Mexican Army in 1913 and honors the 1911 Loyalty March, when President Madero was escorted by the Cadets of the Military College to the National Palace. 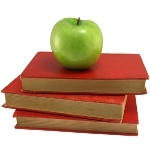 Armenia annually celebrates Book Giving Day. This holiday was resumed in 2008 under the initiative of Levon Ananyan, the late Chairman of Writers Union of Armenia. 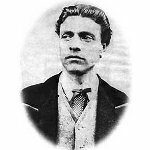 February 19 is Vasil Levski Day in Bulgaria. He was a national hero and a political revolutionary in Bulgaria, dubbed the Apostle of Freedom. 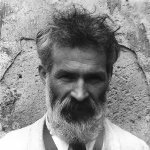 Brâncuși Day is a Romanian observance dedicated to Constantin Brâncuși, a Romanian sculptor, painter and photographer who is considered one of the most influential sculptors of the 20th century. 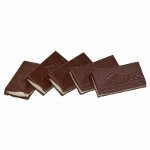 February 19 is National Chocolate Mint Day. If you agree that mint and chocolate were made for each other, then celebrate this day. 2019 Died: Karl Lagerfeld, German fashion designer, artist and photographer known for working with Chanel and Fendi. He also had his own label. 2016 Died: Umberto Eco, Italian novelist, literary critic, philosopher, semiotician, and university professor. He is best known for his novel The Name of the Rose. 2007 Died: Celia Franca, English-Canadian ballerina and director, founder of the National Ballet of Canada. During the past year she was in poor health condition after breaking vertebrae in her back and died in hospital at the age of 85. 2007 Died: Janet Blair, American actress, who made her career during World War II and best remembered for her role as Rosalind Russell's sister in My Sister Eileen and Rita Hayworth's best friend in Tonight and Every Night. 2006 65 miners were killed as a result of a methane explosion in a coal mine near Nueva Rosita, Mexico. 2002 NASA's Mars Odyssey space probe began to map the surface of Mars using its thermal emission imaging system. 2001 Died: Stanley Kramer, American director and producer, famous for Hollywood's message movies. He covered the subjects of racism, nuclear war, greed, fascism in his movies. His most notable films are High Noon, On the Beach, It's a Mad, Mad, Mad, Mad World, Guess Who's Coming to Dinner. 2000 Died: Friedensreich Hundertwasser, Austrian-New Zealand painter and illustrator, one of the best known contemporary Austrian artists by the end of the 20th century. His architectural projects were used for numerous buildings in Austria, Germany, Switzerland, Japan, New Zealand and the Netherlands. 1997 Died: Deng Xiaoping, Chinese politician, 1st Vice Premier of the People's Republic of China. Although Xiaoping has never been the head of sate, he was considered as the real leader of the People's Republic of China from 1978 to 1992. 1986 80 Tamil farm workers were massacred in Akkaraipattu, Sri Lanka, and burned by the Sri Lankan Army. 1985 William J. Schroeder became the first artificial heart recipient to leave hospital. He lived 620 days after he received artificial heart, but died of a lung infection. 1985 Iberia Airlines Boeing 727 en route from Madrid to Bilbao crashed into Mount Oiz in Spain. All 141 passengers aboard and entire crew of 7 people died. 1980 Died: Bon Scott, Scottish-Australian singer-songwriter, best known as the lead singer of AC/DC from 1974 to 1980. Scott died of acute alcoholic poisoning. 1975 Died: Luigi Dallapiccola, Italian composer, known for his lyrical twelve-tone compositions. Opera Ulisse became his life's best work and it took 8 years for Dallapiccola to write it. 1971 Born: Lisa McCune, Australian actress, best known for roles as Senior Constable Maggie Doyle in Blue Heelers, and as Lt. Kate McGregor in Sea Patrol. 1967 Born: Benicio del Toro, Puerto Rican actor, best known for his role as Javier Rodríguez in Traffic, role as Jack Jordan in 21 Grams, and as Che Guevara in Che. 1963 Born: Seal, English singer-songwriter, known for numerous international hits, including Kiss from a Rose. 1962 Died: Georgios Papanikolaou, Greek-American pathologist, inventor of the Pap smear (Papanicolaou test), a method of cervical screening that is used to detect potentially pre-cancerous and cancerous processes in the endocervical canal of the female reproductive system. 1960 China successfully launched the T-7, its first sounding rocket. 1956 Born: Roderick MacKinnon, American biologist, Nobel Prize laureate in Chemistry for his work on the structure and operation of ion channels. 1952 Died: Knut Hamsun, Norwegian author, Nobel Prize laureate for the epic novel Growth of the Soil. 1942 Nearly 250 Japanese warplanes attacked the northern Australian city of Darwin. 243 were killed. 1939 Born: Erin Pizzey, Chinese-English activist and author. She became internationally famous after she founded Refuge, one of the first women's refuges in the modern world. 1914 Born: Jacques Dufilho, French actor, who is best known to the French as a comic. He starred in over 160 French films and was frequently seen in Italian films. 1897 Died: Karl Weierstrass, German mathematician, often regarded as the father of modern analysis. Weierstrass is known for formalization of definition of the continuity of a function. 1884 One of the largest tornado outbreaks in the U.S. history: more that 60 tornadoes stroke the Southern United States. 1843 Born: Adelina Patti, Spanish opera singer, considered as one of the most famous sopranos in history. Italian composer Giuseppe Verdi admired Patti and named her perhaps the fines singer who had ever lived. 1821 Born: August Schleicher, German linguist, best known for this work A Compendium of the Comparative Grammar of the Indo-European Languages, in which he attempted to reconstruct the Proto-Indo-European language. He created a short fable to show, how Indo-European language might have looked. 1819 The South Shetland Islands were discovered by British explored William Smith. He claimed them in the name of King George III. 1674 The Treaty of Westminster was signed by England and the Netherlands, that became the end of the Third Anglo-Dutch War. A provision of the agreement transfered the Dutch colony of New Amsterdam to England, and it was renamed New York. 1526 Born: Carolus Clusius, Flemish botanist, considered as the most influential of all 16th-century scientific horticulturists. He was the fist to study the flora of Austria and the first botanist to climb the Ötscher and the Schneeberg in Lower Austria. Many alpine plants were named after Clusius. 1473 Born: Nicolaus Copernicus, Polish mathematician and astronomer, who formulated a model of the universe, that placed the Sun rather then the Earth at its center.